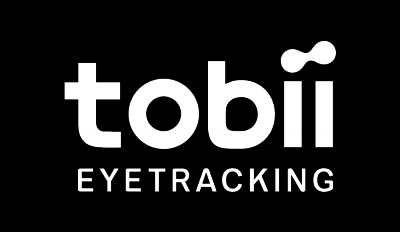 If the Tobii Eye Tracking software is not available on your computer, you can download the latest software from www.tobiigaming.com/getstarted/. In the system tray, click the Tobii Eye Tracking icon to access the Tobii Eye Tracking menu. Press the profile preview in the menu. Press Create New Profile, and follow the instructions on the screen. Press Test and recalibrate, and then select how the Tobii Eye Tracker should start collecting your gaze data. Press Recalibrate, and follow the instructions on the screen to recalibrate. Each calibration point is represented by a circle on the screen. The center of each calibration point is represented by a white dot. The user gaze point is represented by blue dots on the screen. For a successful calibration, the user gaze point should be within the white circle. Guest calibration is for temporary users. It does not change the existing user calibration. Click Guest calibration, and follow the instructions on the screen to finish the calibration. Alternatively, press Ctrl + Shift + F10 to launch a guest calibration. Please note that you can create a guest calibration at any time by using this shortcut. Select the profile to use from the User Profile menu.